When I find the platonic ideal of something – be it the perfect turtleneck, oxford shirt or espadrille – I’ll often buy it in every color. Since many of us are currently tidying our closets and giving more thought to the clothing we keep, I thought it was apropos to start a series on the items I love so much I buy them over and over again. 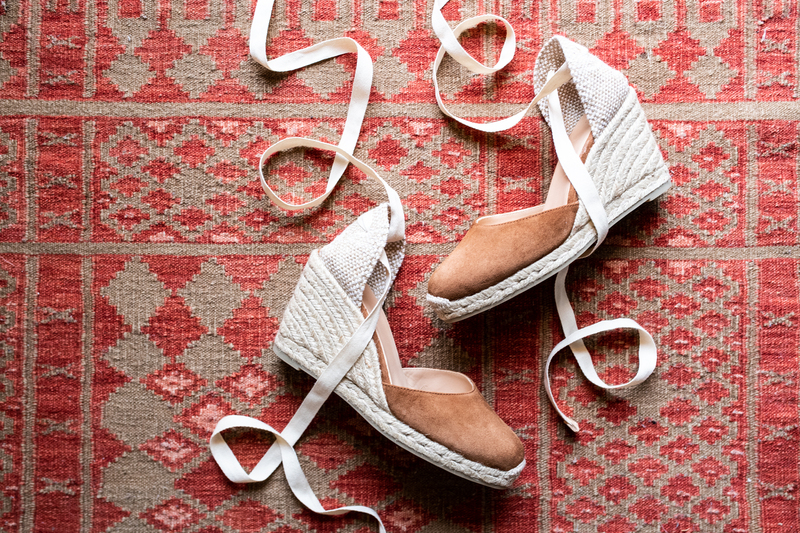 I’ve owned numerous pairs of Castañer’s perfectly proportioned espadrilles over the years and they are essential for warm weather getaways. This timeless shoe is offered in an array of colors and heel heights right now, making it the perfect time to snap them up in every color. 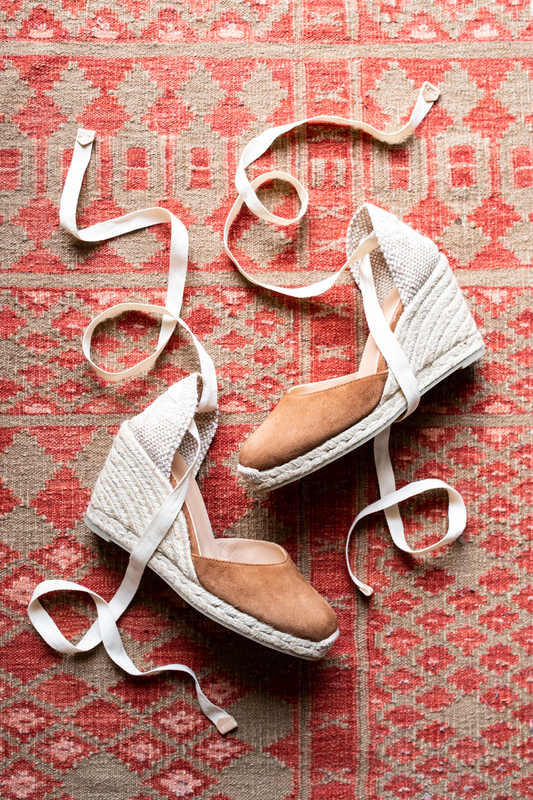 I love brands with storied pasts and Castañer’s history stretches back over two centuries to 1776 when Rafael Castañer, the family’s first espadrille maker, was born. The family-run business opened their first workshop in Spain in 1927, was nationalized to create espadrilles for the Spanish army in the 30’s, and by 1970 they were creating wedges for famous fashion houses such as Yves Saint Laurent. As it pours outside I’m dreaming of wearing a pair with this eyelet dress and these shell earrings during a warm weather getaway next month! Thank you for this fun post – gorgeous shoes. I really appreciate the links to some of your closet staples and I realized I’d love a whole post dedicated to the rest of your wardrobe staples. LOVE, love, love your style! You might be horrified to hear that I am 50 but your style is so beautiful and timeless and it really works for me: stylish, demure, feminine, and elegant – what woman wouldn’t want to be all those things? Would also love to see a post on your wardrobe staples! Thank you for posting! I bought two pairs. I love these shoes! I really want a pair for myself.